After many enticing updates, Mojang have told us that the Redstone Update will be coming our way sometime this month, perhaps even sometime very, very soon. Here’s a breakdown of all the most exciting features the team have said they’re working on, plus a little speculation as to what else might still sneak its way into Minecraft 1.5. Although the team seem pretty certain about what will and won’t be in this update, they have been known to spring the odd surprise, so you’ll forgive us for throwing in a few excited (ahem, educated) guesses, too. 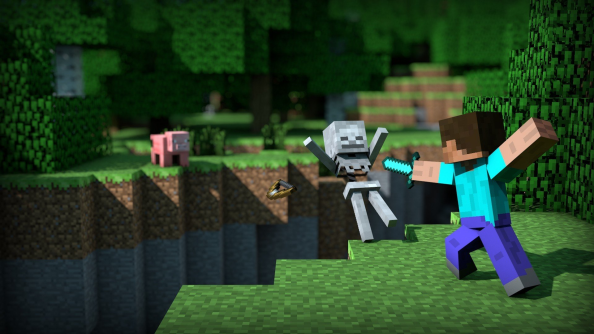 That’s right, and this is a public service announcement to all Minecraft players:skeletons shoot faster, zombies band together and both are much more aggressive. Erk. This started with a pre-1.4 announcement from Jeb_, who said he hoped to address several of the ongoing issues with Redstone. At present, without an artificial constraint imposed, certain Redstone layouts can crash Minecraft. For the moment, Redstone doesn’t quite function as it should, but at least our game doesn’t crash. However, what began as a bug fix looks like it’s grown to a quite a collection of new concepts. Redstone will now have a signal strength, rated from 0 to 15, akin to voltage, and players will be able to make use of this variable strength to power (or not power) their creations. 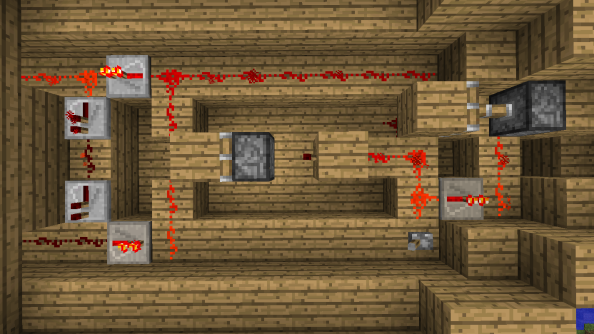 A new comparator block will work in a similar way to a redstone repeater, but will only give output when a certain signal strength is received, something that players can configure according to whatever grand designs they have. Break or smelt the new Nether Quartz Ore and you’ll have this quartz, which is an important crafting ingredient for for the new redstone comparators and daylight sensors (see below). It can also be crafted into decorative blocks. Awww. Though those may sound like they’re types of drugs, they’re actually a pair of incredibly useful new blocks. The hopper moves items in and out of containers, while the dropper drops items into the world. Combine these with chests and carts and you can start automatically shunting things around. There’s a lot of potential here, as a certain recent Minecraft basketball court showed. Give players a development snapshot and there’s no limit to how much they’ll experiment. Pressure plates will no longer simply be triggered or not, but will now be sensitive to the weight that’s placed upon them, a change that could see all sorts of interestingimplementations Want to create a trap that’s triggered by creepers but not by your pet cat? This could be your chance. 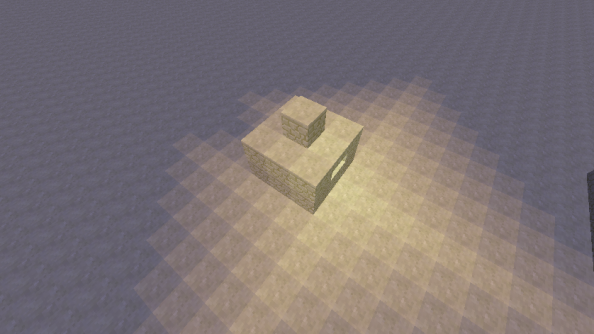 A new light detection block will also function in an analoguefashion. The idea is that this block, which behaves a little like a solar panel, will output signal relative to the intensity of light that shines upon it. There will be animated textures! I don’t know why I’m repeating myself here, it must be the excitement. The latest development snapshots already support this and you can even download some of these textures now. Check out our guide to the best Minecraft texture packs for an example. Dinnerbone has also tweeted that the team is discussing a re-write of the rendering engine that should both allow for higher resolution textures and also improve the game’s framerate. This doesn’t mean that Minecraft’s inherent blockiness will be compromised, but it does mean much fancier graphical effects. 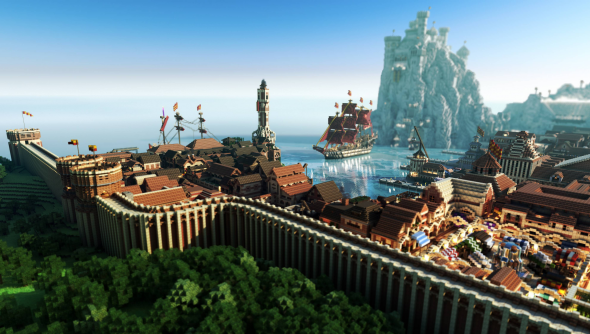 The Minecraft team also want to do more with minecarts, which they feel are currently under-used. They’ve been busy adding new ways of transporting items and new uses for storage minecarts, effectively allowing players of “vanilla” Minecraft to create transport systems similar to those featured in so many Minecraft mods, such as those in the Technic pack. One new feature will be tipper rails that automatically trigger the carts that pass over them, causing things like the new TNT minecrart to explode. Minecarts now come in other new flavours too, like the hopper cart and the spawner cart. 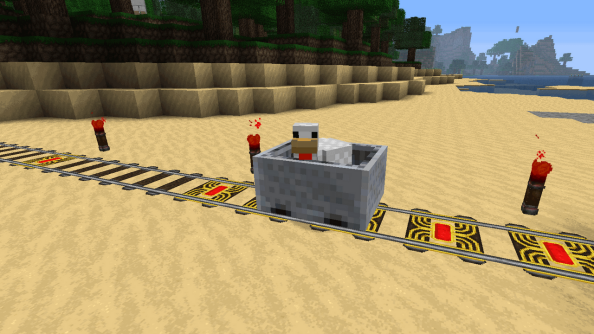 There may even be the option to link carts together to form a miniature train “if we can get it to work,” said Dinnerbone, though that’s not looking as likely. This will track player deaths (or murders), as well as mob kills and commands that players trigger. It’ll be useful for keeping track of… well, almost anything. A player’s score can be displayed by their name tag and the colour of their name can be altered to reflect the team or faction they belong to. 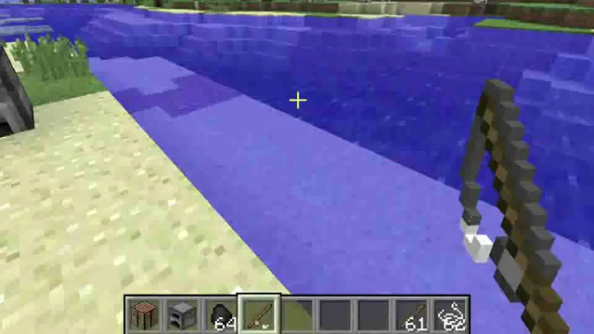 After spending days, even weeks wrestling with a bunch of long-standing problems, such as black spots among shadows, on October 4th Dinnerbone tweeted that he was putting aside his attempt to recode the lighting engine in time for Minecraft 1.4 and it would have to wait for the next update. That said, it wasn’t mentioned much at Minecon last year, so what’s coming in 1.5 may not be as comprehensive an overhaul as we might first have thought. Still, we are expecting a few small but useful improvements, such as light no longer bleeding through stair blocks, something that will be very welcome indeed. Yes, you heard me right, though we are edging into speculative territory now. Both Dinnerbone and Jeb_ have expressed an interest in adding spikes, which could prove a very useful component for traps. The Minecraft Wiki even has an entry for them as they were originally going to be introduced instead of sticky pistons, thrusting out to stab unwary passers by. Presumably the spikes are still on a (proverbial) drawing board somewhere, half finished, or not yet sharpened. It’s not likely we’ll see them, but I’m still crossing my fingers and hoping for a pointy surprise. I agree with Dinnerbone that fishing isn’t particularly exciting right now. 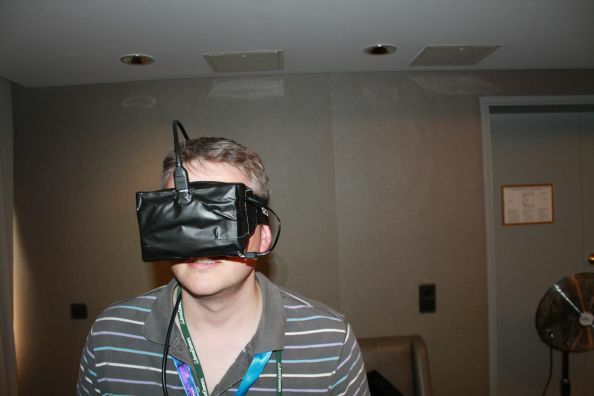 The Minecraft team “have plans” for it, but they haven’t said anything beyond that. Could it be on the cards for 1.5 and still hidden somewhere in there, waiting to surprise us in the pre-release? I’m afraid there’s no evidence for it, but I’m still hoping so. This is another feature that was first mentioned quite some time ago. In June last year, Notch said it was something he hoped to include and, though little has been said about it since, Mojang have been busy modifying their player accounts system, migrating Minecrafters across to a Mojang Games account. Does also this mean they’re working on a contact list as part of this? Possibly. At Minecon 2012, Jeb also stated that a friends or contact list was a project set firmly in Mojang’s sights. There’s not been much said about this since, but I’m still crossing my fingers. This has been an ongoing challenge for the Minecraft team, something that stretches back over two years now. An application programming interface would make it much easier to add custom content to the game, both for clients and servers, allowing players to quickly and easily swap different plugins in and out of the game. The API would also mean that players joining custom servers would no longer need to download plugins or mods, because Minecraft would be able to adjust itself accordingly. In short, there’d be much less fiddling with .jar files. Nevertheless, “we never said that the API is in 1.5 in either of our panels,” Dinnerbonetweeted, during Minecon and, though for while it did seem possible we’d see the API with this release, we’ll just have to hang on for now. Mojang say that future updates will be increasingly focused and, since this one is focused around Redstone, they don’t plan to add any more creatures. What’s more, any new creatures (or blocks, or tools) will have to be distinctive enough to warrant inclusion, as the team don’t simply want to add more of these for the sake of it. Whatever mobs appear in future updates, they’ll likely be quite different to anything that’s come before. At Minecon, Jeb said that he was “looking into making combat more interesting,” as he wanted it to be more than just a click-fest, but we won’t see this any time soon. Nevertheless, it’s on a drawing board somewhere, even if that board is only in Jeb’s head.